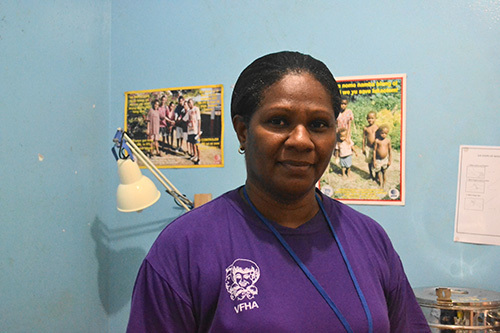 PORT VILA, Vanuatu – “Life belongs to me,” said Katherine Silas, explaining why she was seeking family planning services at the Vanuatu Family Health Association in Port Vila, Vanuatu, in the aftermath of Cyclone Pam. The devastating storm has driven up demand for sexual and reproductive health care. Access to these services – which include family planning counselling and services as well as maternal health care – is critical, and can even be life-saving, in the aftermath of a disaster. For example, in emergency situations, women without access to family planning are exposed to unwanted pregnancies in perilous conditions. Yet these services are often overlooked in humanitarian responses. UNFPA is supporting recovery efforts in the wake of the disaster. A team of health and gender specialists arrived on 22 March to begin distributing reproductive health supplies. 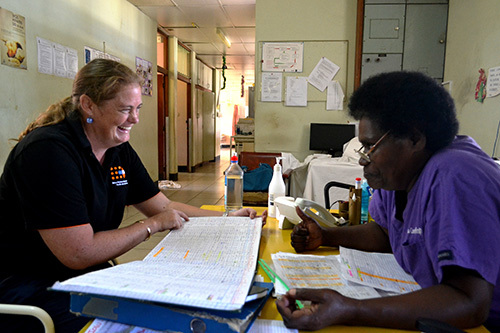 And UNFPA’s earlier support for health workers is also helping to ensure continued access to these essential services. Ms. Silas grimaced as she watched the nurse, Julienne Aru, insert a long-lasting contraceptive implant into her arm. Speaking in soothing tones in the local Bislama language, Ms. Aru explained the process as she performed the procedure. Ms. Aru, who took part in a UNFPA contraceptive insertion training last year, found herself pitching in after the cyclone to meet the heightened demands for sexual and reproductive health care. Her office had to be converted into a third consultation room to accommodate the numbers of women seeking services. In the weeks after the disaster, women expressed concern that the destruction of clinics would cut off their access to family planning. Health professionals like Ms. Aru are working to make sure women continue to have access to a range of safe, modern contraceptives. “We decided just to offer free services for now, which has been very much taken advantage of,” she said. Ms. Silas, who had previously been using an injectable contraceptive, explained that the long-lasting implant was a good option for her because of its five-year duration. “I don’t have to worry about forgetting to take my pill or that it is the third month and I need to go for my stick,” she said, referring to the regular injections she used to get. 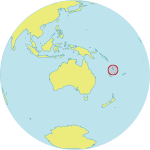 Many women in Vanuatu encounter opposition to contraception from their partners, both Ms. Silas and Ms. Aru said. Ms. Silas’s partner fears contraception could promote infidelity, she told UNFPA. But she is undeterred, she said, because family planning has empowered her to look after her children. The father of her children is away for much of the year, leaving her to take on the brunt of child care responsibilities and financial support for their family. “Sometimes I pay for everything," Ms. Silas said. Family planning options were explained to her after the birth of her first child. When she became pregnant barely a year later, she began taking oral contraceptives, and later used injectables. She is glad to be able to choose family planning options that best suit her situation. Now a mother of three, Ms. Silas supports her children by working as a domestic helper. She says family planning helps ensure that she can support her children. She is now hoping to buy property to give them a stable home and future.